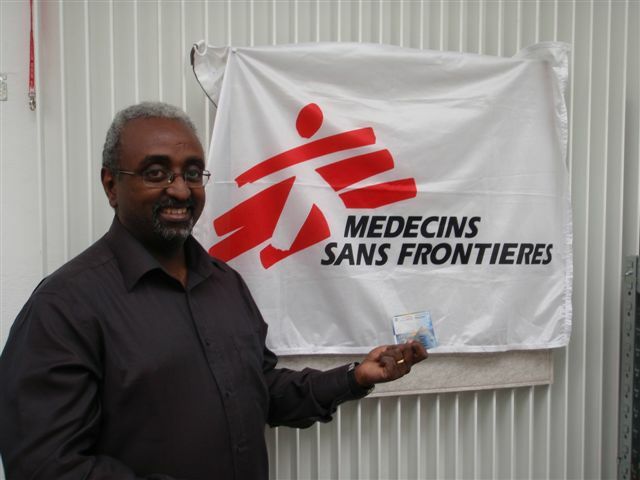 For the sixth running, CHFH3 supported the “Medecins Sans Frontières” charity. 40 runners and walkers took to the mountains in support of the magnificent work they do as an international humanitarian aid organisation which provides emergency medical assistance to populations in danger in more than 80 countries worldwide. The run was held in the superb and challenging location of St. Cergue on Wed 17th February, 2010 in snowy winter weather. A raquette trail (hare by Sexposure and Jack Rabbit) was set along with an option for skiers to hurl themselves down the hills. A superb evening was enjoyed by all. Once again, CHFH3 showed their support and raised 550 CHF from a raffle and from the run fee. 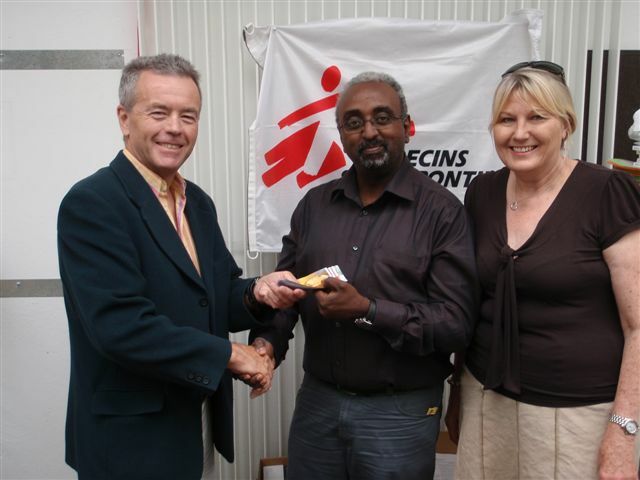 It was presented officially to MSF on 24 June 2010 at their Geneva headquarters. 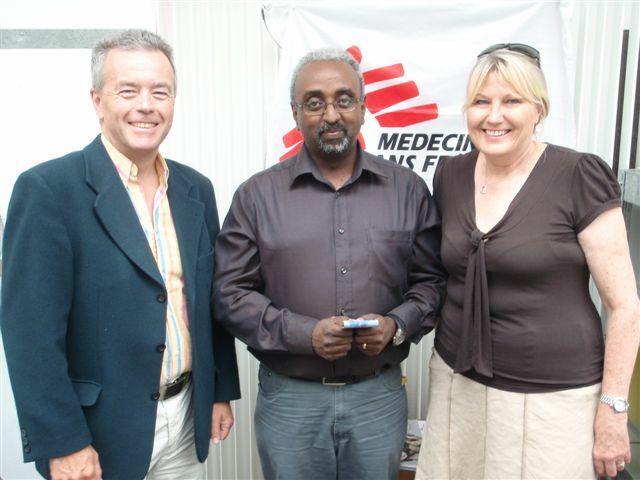 S*xposure handing the 550 CHF to Mr. Abiy Tamrat of Medecins Sans Frontières. Also present: Alpine Climax (Jack Rabbit couldn't make it). Thanks to everyone who helped - we couldn't have done it without you all, you're the best!